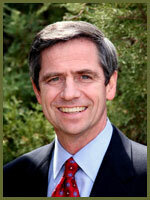 Recently-elected US Congressman Joe Sestak will be the featured speaker at the Second Annual Haverford Township Community Forum on Sunday, March 11 at 1:30 p.m. The free event, open to the community, will be co-sponsored by Suburban Jewish Community Center Bnai Aaron (SJCCBA) of Havertown and Jewish Federation of Greater Philadelphia. Sestak, who upset 10-term Congressman Curt Weldon in November, served as a vice admiral in the US Navy and as a military advisor to the Clinton White House. He will present his agenda at SJCCBA as 7th Congressional District representative and will take questions from those in attendance. SJCCBA is located at 560 Mill Road in Havertown, between Earlington Road and Karakung Drive. For directions, please contact SJCCBA at 610-446-1967.